In summer the days are longer and diners tend to drag. To fully enjoy the pleasures of the garden to the end of the night, there is a point not to be overlooked: the outdoor lighting. Apparently, not rocket science. Some recessed spotlights, apply to entry and voila. But it is not as simple as it seems. Indeed, the type of installation differs depending on the place to be illuminated. poolside dining area in the garden, balcony, terrace, each location requires special equipment. What type and design of its exterior lighting? Good light is a guarantee of security and at two levels. Multiplying the light sources is to reduce the risk of falling down the stairs or in the garden tripping over an object forgotten during the day. But also, take out the trash without fear at night. However, it does not guarantee that this makes the task more pleasant. Beyond practicality, the light is also important from an aesthetic point of view. On the one hand, it is part of the exterior decoration. Manufacturers offer each year models increasingly design. Moreover, proper lighting not only creates a friendly atmosphere but also to sublimate and to outside value by a focus on a massive, stairs, alley or his house. To make the most of the summer evenings, driveways, patio, bushes, and trees… It is necessary to optimize the outdoor lighting. To pave the way, the ideal is to install on each side and at regular intervals, low-height terminals or spots placed flush-the-ground which provide soft light without glare. Arranged along walkways, these systems guide visitors by pointing the way, but most offer a very welcoming appearance and in all seasons. In this case, the choice of lighting is determined by the size and density of the foliage and the volume of vegetation. Thus, very leafy trees and conifers will be particularly highlighted with a directional projector that will illuminate the subject from bottom to top. As for species, not dense foliage, they reveal their figure under a light placed very close to their trunk. For flowerbeds or shrubs favor diffusing light from different heights to create relief and shadow play that will enhance the volume of plantations. Models of outdoor lighting available in specialty stores abound. 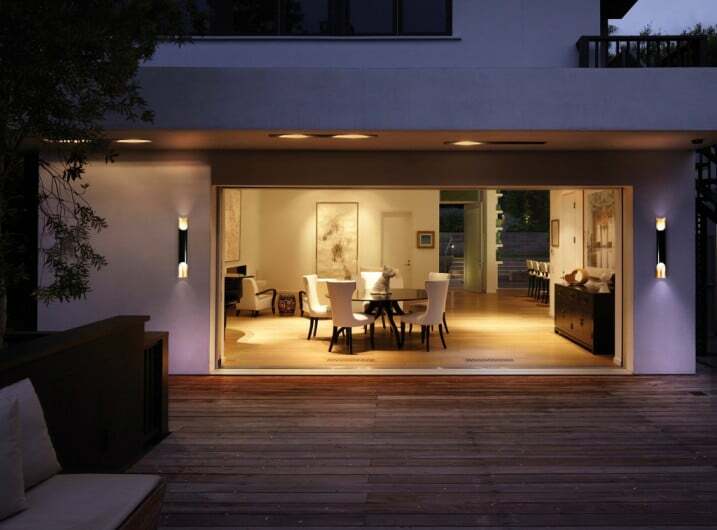 They are designed to provide focused light to highlight the terrace or illuminate a driveway. The design form, simply elegant or contemporary gives a touch of modernity and design to your outside. For those who excel less well in the mix of genres, prefer to keep a similar style for all luminaires. To optimize your outdoor lighting, and not be faced with problems with electrical power, you have every interest in taking stock of the strategic points ideally connected to position your items. Note for terraces and corner of the farthest garden are electric lamps and floor lamps as well as solar requiring no connection cable. 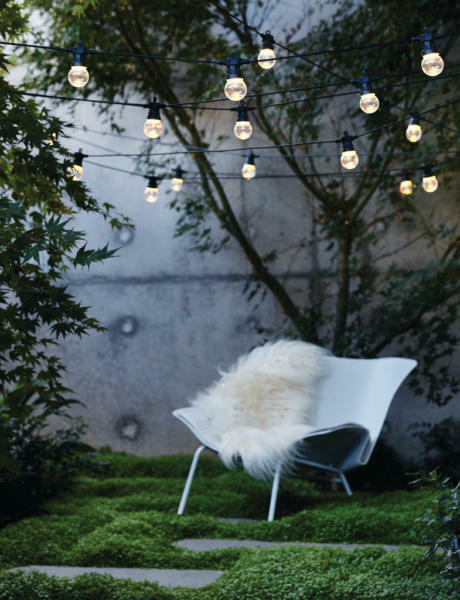 If your outdoor furniture is modern, aluminum or PVC in a classic, neutral and sober color, you can afford a few eccentricities choosing outdoor lighting consists of lights that change color, lanterns, and festive garlands. 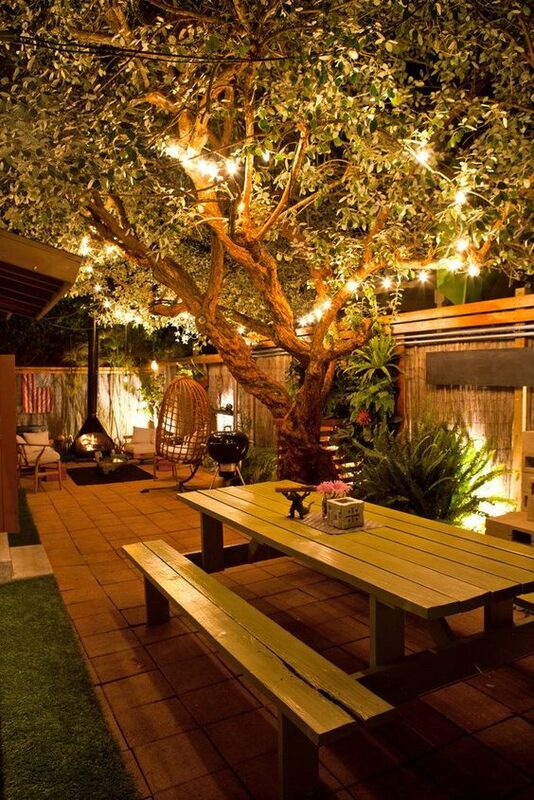 A resin garden furniture or exotic wood is nicely granted fancier garden lights. The spotlights built into the patio are always look great but they can be replaced by LED strips to be arranged on the edges of the deck or around the dining area and outdoor relaxation. Because that installing outdoor lighting must be in perfect harmony with the environment and that it must preserve its authenticity, it is necessary to make cables and other more discreet possible connection systems. The lights must complement to animate the scene, give the prospect of greater spaciousness. If you want to make an electrical installation, if you need to create electrical power points prefer the services of a professional to avoid any short circuit and not risk the accident. The placement of a lamp or other objects that may overheat in a tree or in the middle of a massive also calls for the expertise of a qualified electrician artisan. In terms of outdoor light, many solutions can diffuse the light and sometimes heat up the atmosphere. In the aisles or in front, the motion sensors are the solution to illuminate just the right time. The outdoor lighting to LEDs promotes energy savings while offering intense colors. The LED lamps are decorative objects in their own right: flower pots, bowls, bright furniture, designer lamps and other surprises with their creativity and often prove easy to drive thanks to connected systems. Another trend, more natural, the braziers and torches illuminate using the fire; what welcome guests in a warm and friendly atmosphere! Ideally placed, the basket of fire or fire from tank warms the dark. If you are lucky enough to have a nice view, if you want to add anything to the landscape, you can choose outdoor lighting floor standing, discreet, low voltage and easy to connect. You can also opt for an outdoor ceiling with original diffuser XXL version available just above the table. A little present visually, the light bar LED that changes color according to the desires settles on the terrace to give a different kind of drinking with friends and illuminate until the end of the night. 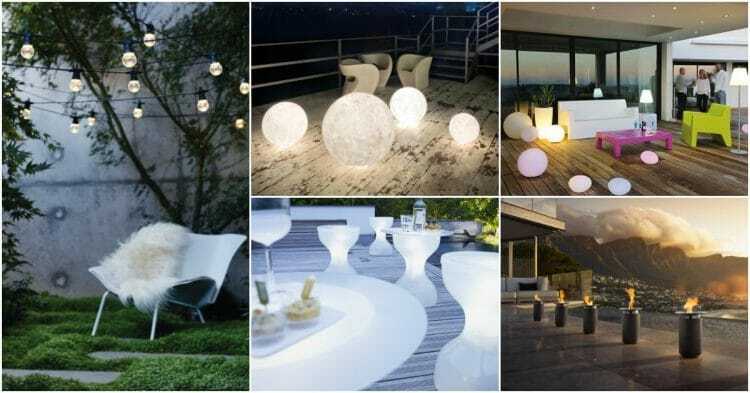 Finally, if you want to give style to your pool or highlight a pool, think of outdoor fixtures that do not fear water and float: lights, balls spheres, luminous objects in the shape of fish or jellyfish, etc. The effect is always refined and high-tech. Most of these objects are connected. Just one click to turn on and off them!